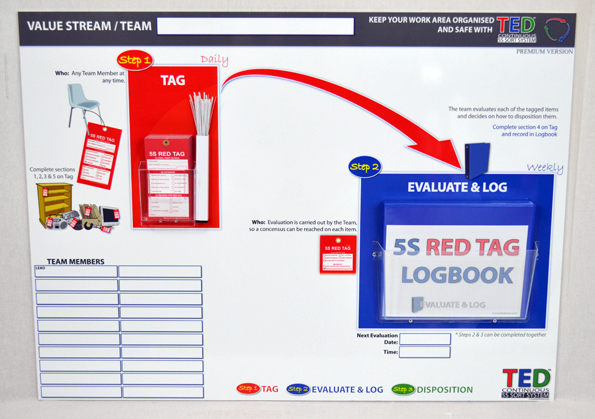 The TED™ Continuous 5S Sort System Kit (Standard Version) enables the TED 5S Sort principle to be integrated into your facility. 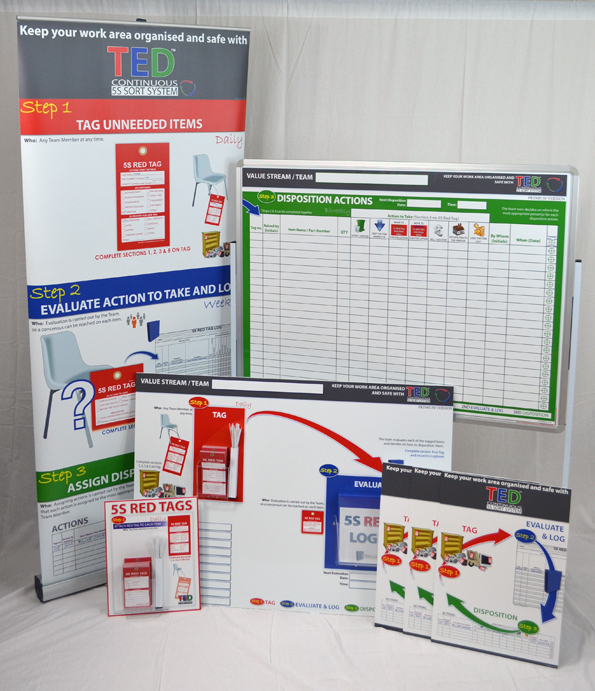 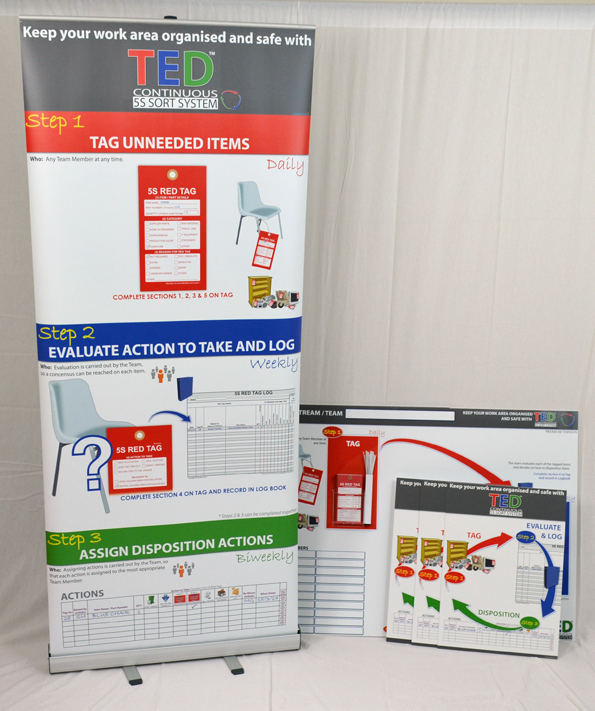 This cost effective tool promotes the engagement of all personnel in the TED 5S Sort process, by providing three clear steps that achieve 'sorting' of a specified area, in a continuous cycle. 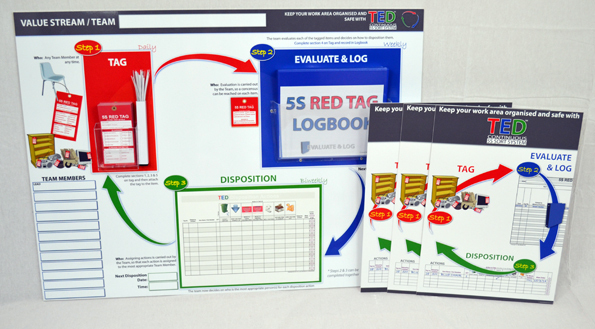 The TED™ Continuous 5S Sort System Kit (Premium Version) enables the TED 5S Sort principle to be integrated into your facility. 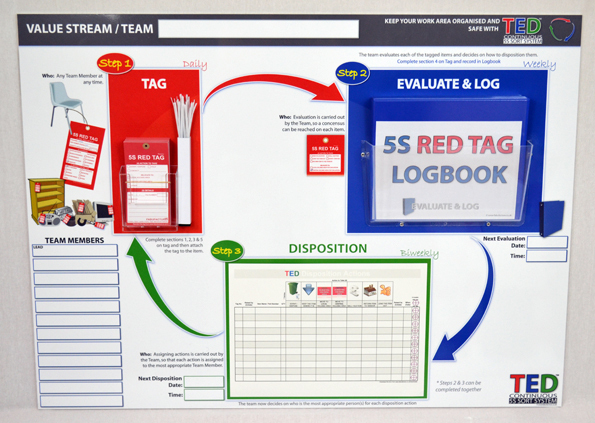 This cost effective tool promotes the engagement of all personnel in the TED 5S Sort process, by providing three clear steps that achieve 'sorting' of a specified area, in a continuous cycle.